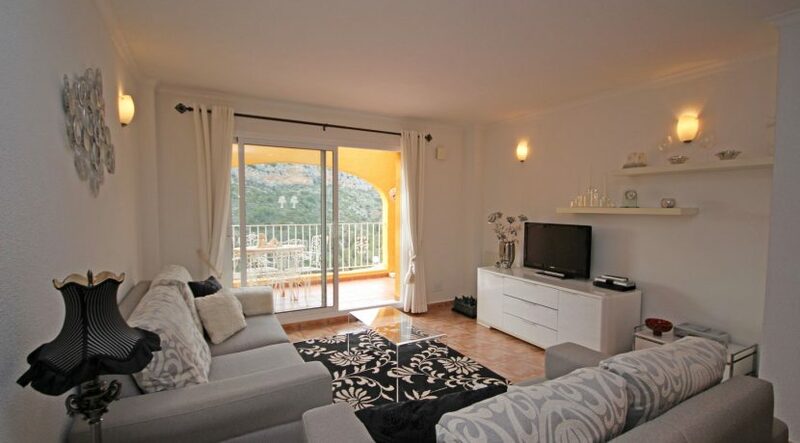 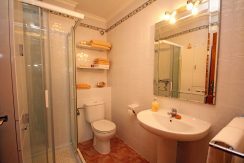 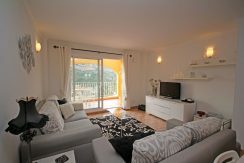 Apartment for sale in Pueblo Montecala, Cumbre del Sol, Benitachell. 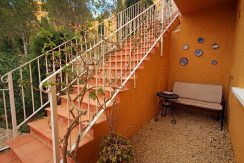 This lower level two bedroom, one bathroom apartment has the accommodation on one level, accessed via an external staircase. ACCOMMODATION: Entrance porch, hallway, open-plan lounge/diner, kitchen, two double bedrooms, shower room, storage/utility cupboard. 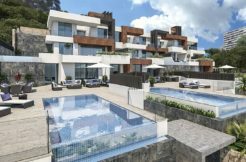 OUTSIDE: Full-width balcony, communal pool complex with cafe/bar, pool-side showers, children’s play area and large sunbathing terrace. 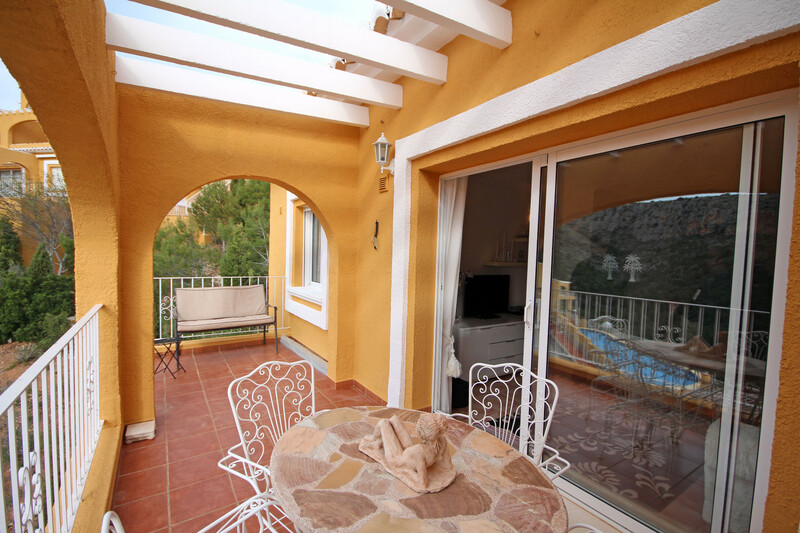 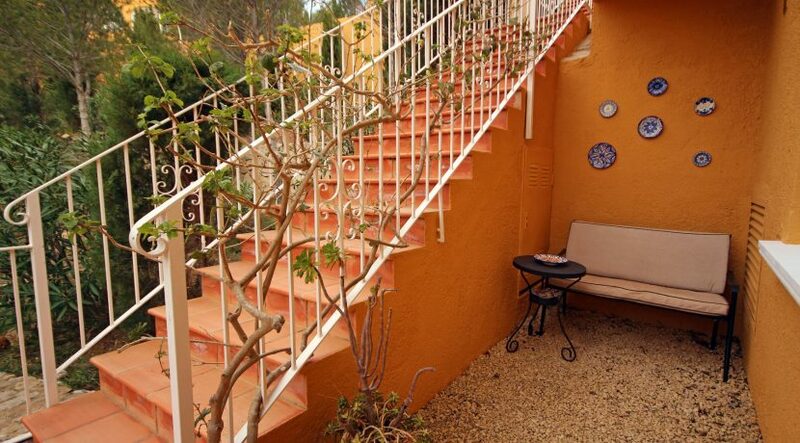 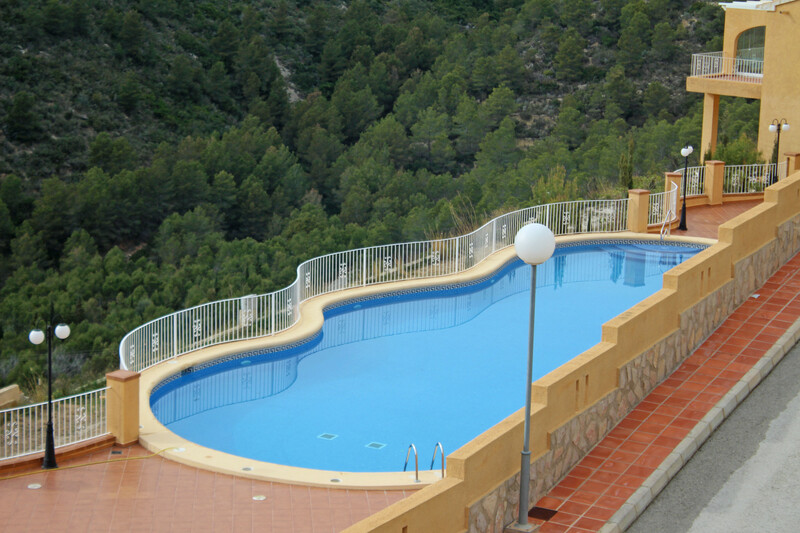 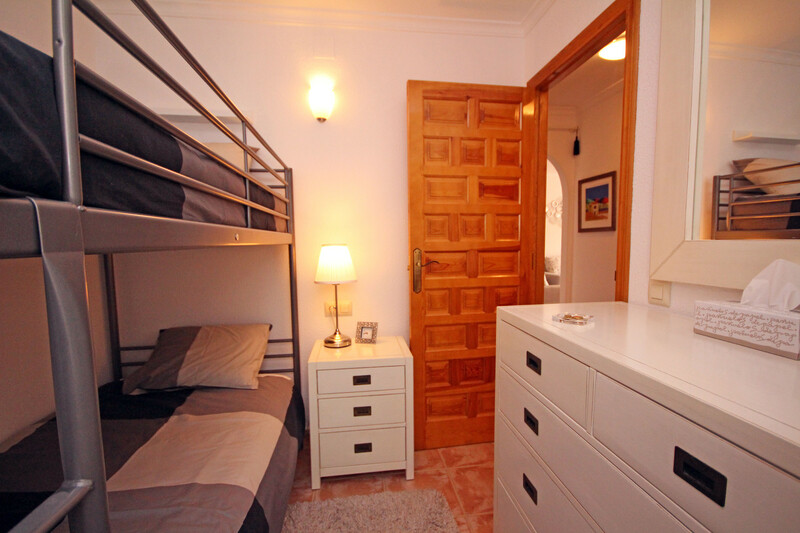 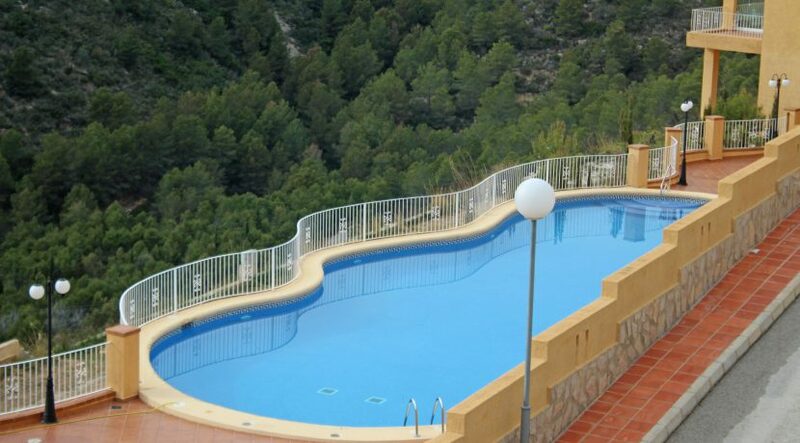 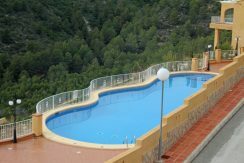 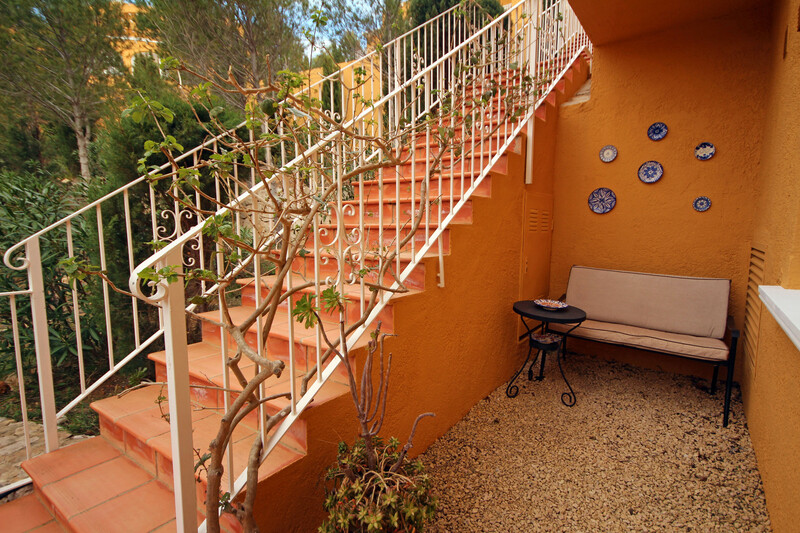 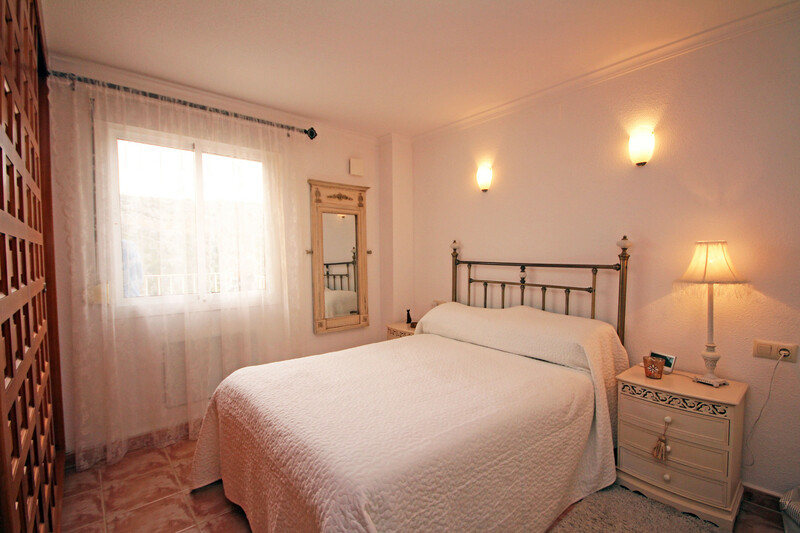 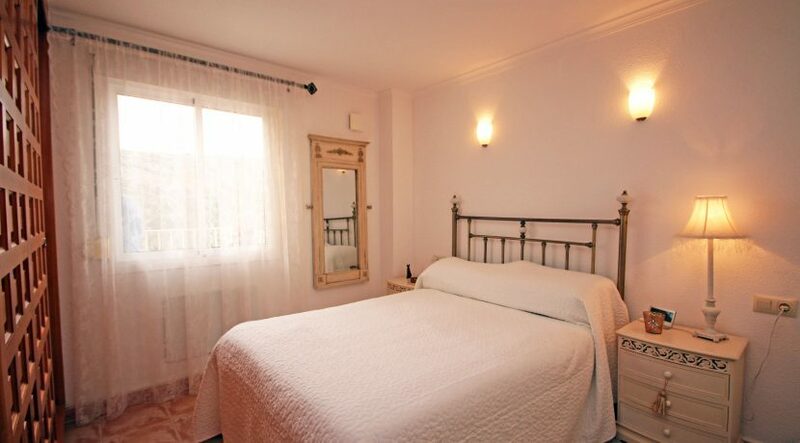 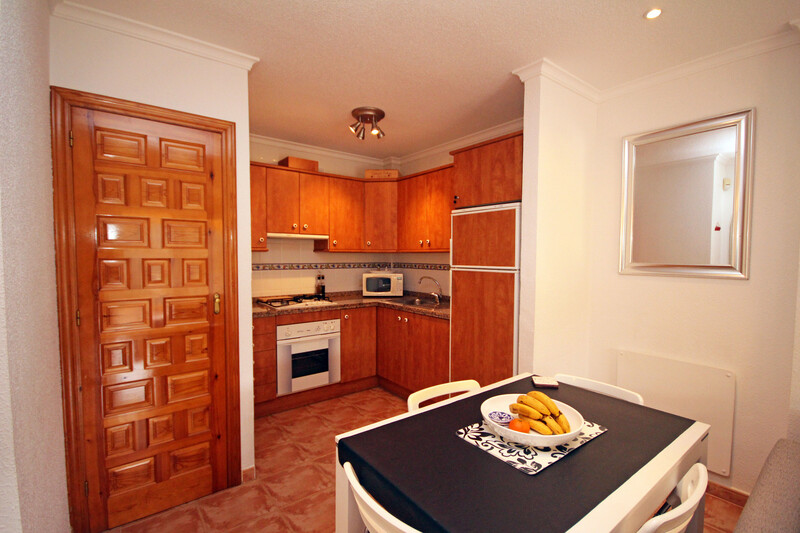 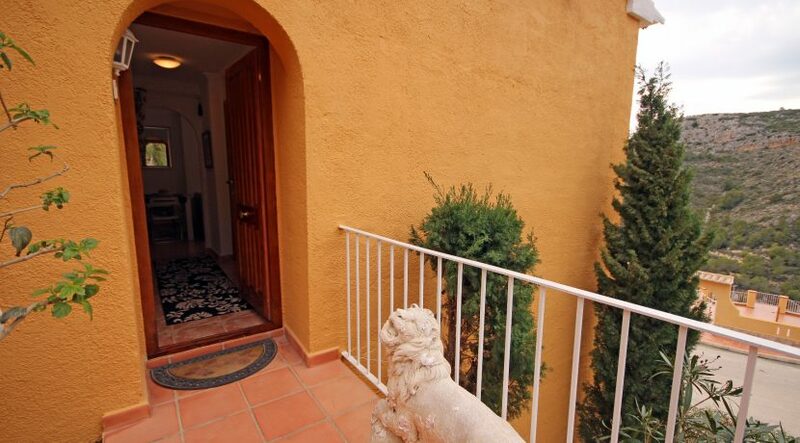 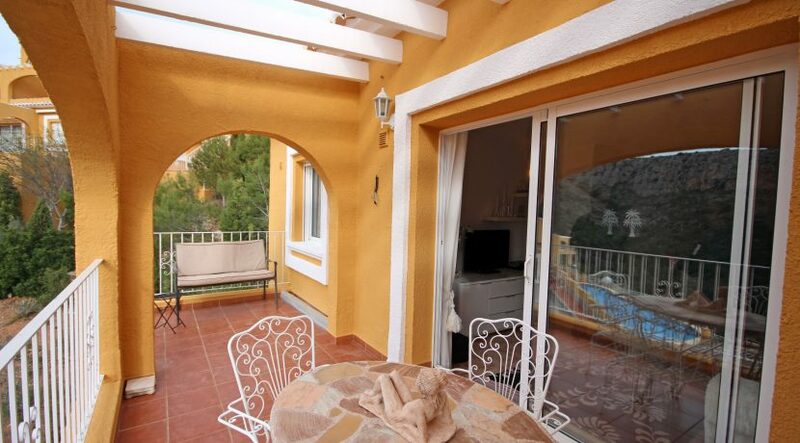 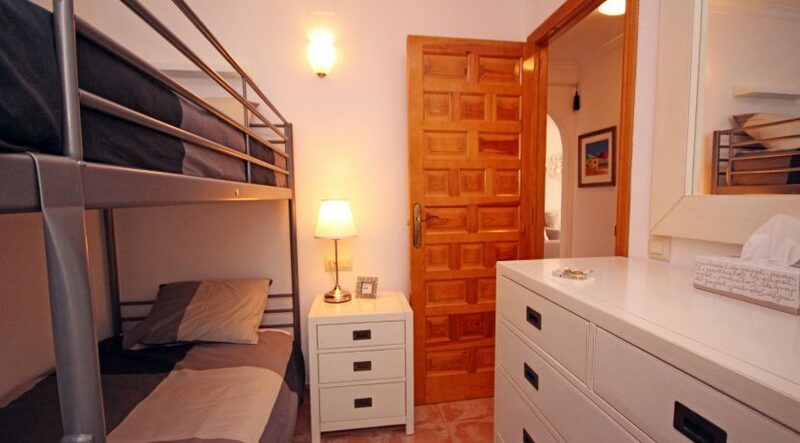 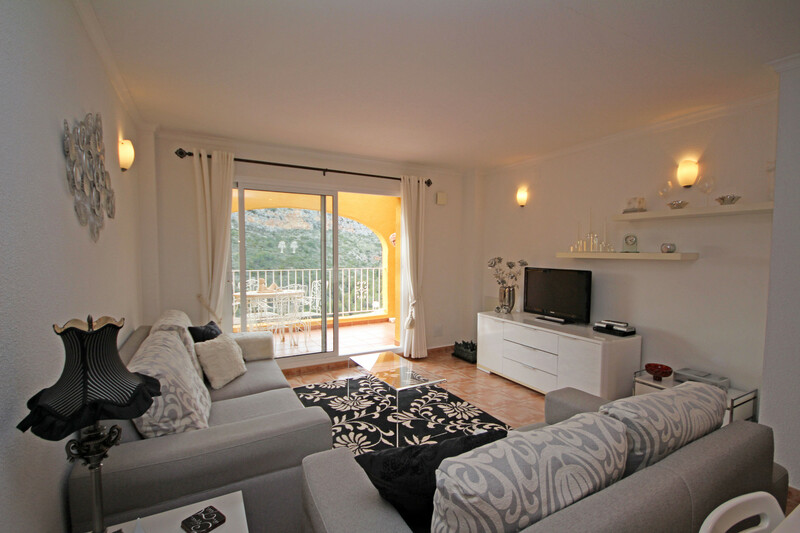 Apartment for sale in Benitachell, Cumbre del Sol, Pueblo Montecala. 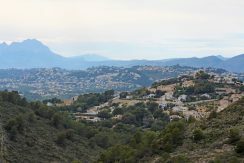 Located in an elevated position with fabulous views to the south and west on the popular Montecala development on Cumbre del Sol. 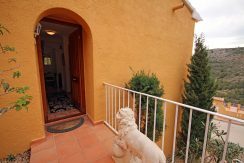 From road side parking, external steps lead down to a heavy pine panelled front door with a pleasant gravelled seating area to the left. 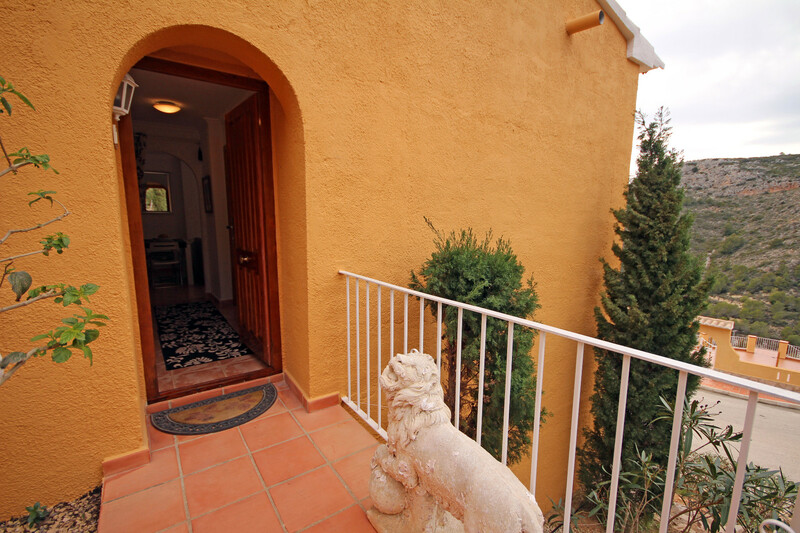 The front opens into the bright entrance hallway with a double bedroom to the left with window with side garden views. To the right is the master bedroom with built in wardrobes and a double window with open valley views. 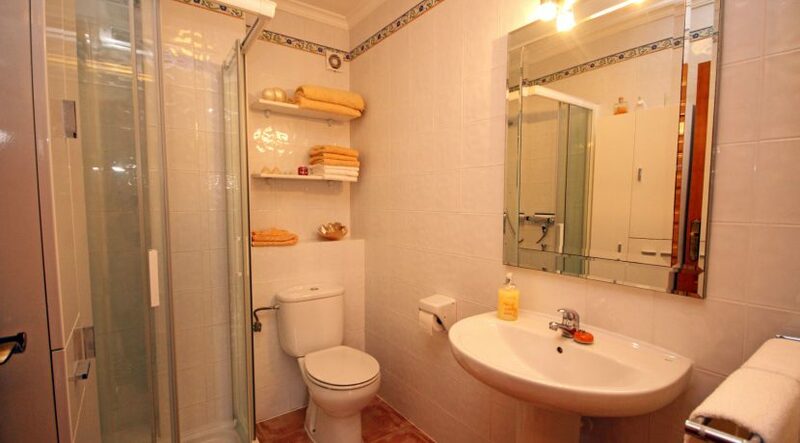 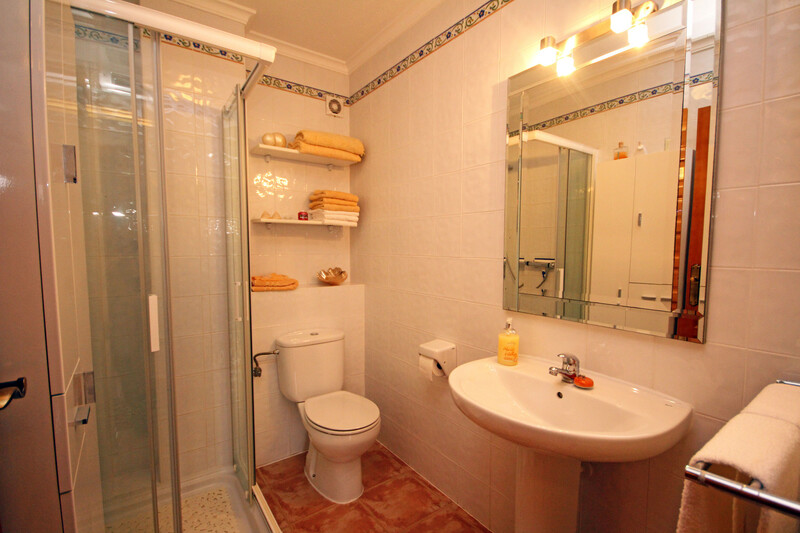 At the end of the hallway is the fully tiled shower room with corner shower cubicle, pedestal wash hand basin and WC. 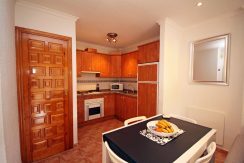 From the hallway, an archway leads into the spacious lounge/diner and open-plan kitchen with cherry wood wall and base units, integrated fridge-freezer, gas hob with pull-out extractor above and electric oven beneath, stainless-steel sink and drainer, and deep granite worktops. 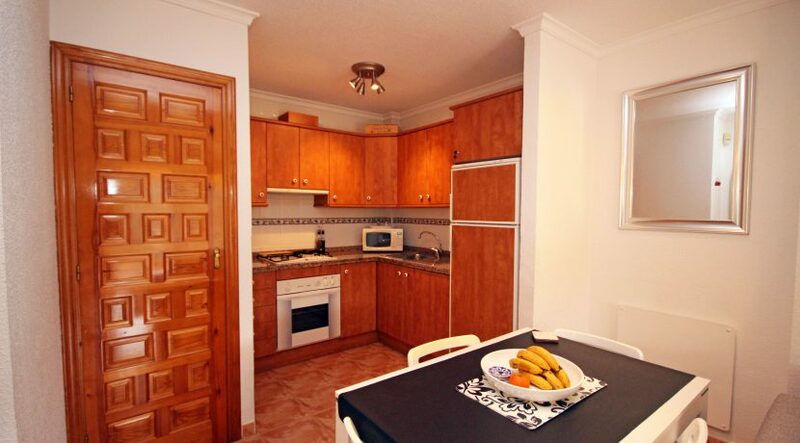 Along-side the kitchen is the utility cupboard which houses the domestic boiler and has space for the washing-machine. From the lounge, sliding patio doors open to a large south and west facing balcony terrace, which runs the full width of the property, the greater part comprising an arched and covered naya. 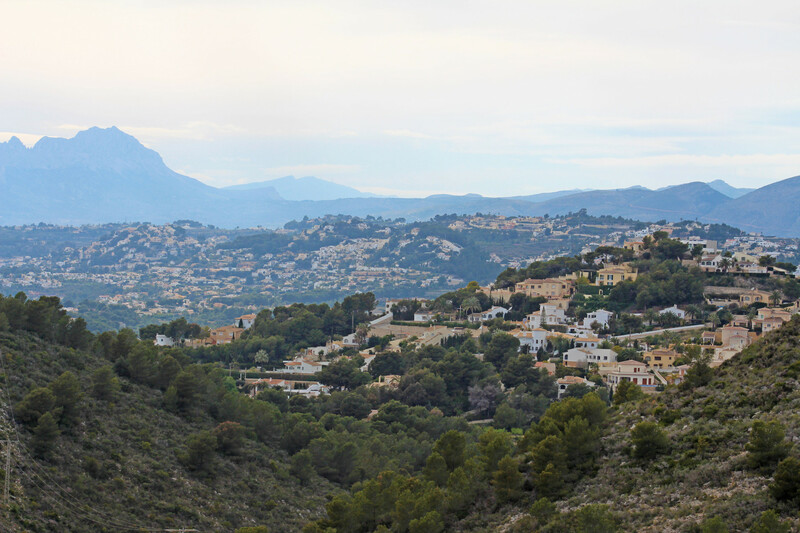 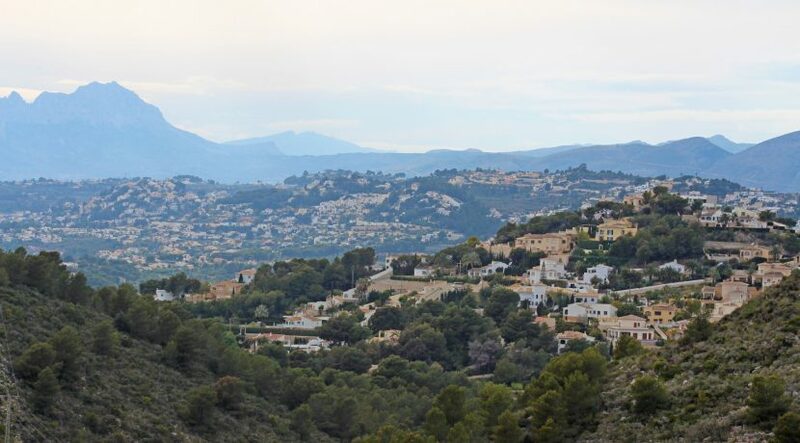 From here, fabulous valley and mountain views across conservation hillsides extend through to Calpe and the Sierra Bernia Mountains beyond.